A few weeks ago my son was bothering me incessantly about hoverboards. People in his class were talking about them, so he just had to get one. The Amazon reviews were equally split between 5-star “This is the coolest toy ever!” and 1-star “This stopped working after 5 minutes and I can’t get my money back.” I told my son that this was not a product ready for prime-time. He was sad for about a minute and then asked for a Razor Crazy Cart, which turns out to be the same price but much safer and just as much fun. Well, that was a narrow escape. There are now reports of hoverboards actually catching fire. Their cheapo lithium-ion batteries often don’t have proper charging circuits, and go into thermal runaway. That’s where a rise in temperature causes internal energy to be released, causing yet higher temperatures and releasing more heat until the hydrocarbon electrolyte catches fire. Even well-designed cells can still burn if they get whacked hard enough, E.g. by rolling around and crashing into something. Airlines have now banned them from luggage. The fun-hating city of London bans them from sidewalks. Yet the design of these boards is really nice. 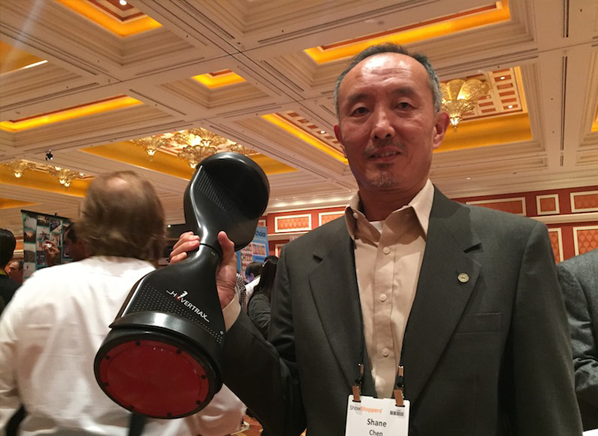 Someone managed to take the sophisticated self-balancing controls of the Segway and simplify them down to a much smaller and lighter form factor. This stuff is non-trivial. You have to use a motion sensor to drive each wheel separately to counteract the tilt of the weight of the driver, and do this with a fast response but no oscillation. Who on earth did this? Surely the knockoff factories in China didn’t come up with this on their own. Yep, they didn’t – it was Shane Chen of the Inventist corporation in the US. He started a Kickstarter campaign in May 2013 for what he called the Hovertrax. He raised $85,000 for it, and got them shipping by October 2014. Backers got one for $695, and they sold for $1500 retail. By early 2015 knockoffs were appearing in China. They were heavier and larger, but much cheaper, down in the $300 range. There are dozens of makes out there in a huge range of styles and colors, but they all seem to come from competing factories in Shenzhen. The motors are actually built into the wheels. These come from a Russian site, Zeptobars, that has a great slogan: “We love microchips – that’s why we boil them in acid”. These chips aren’t very big and are in an old process (250 nm), and so are dead cheap. You can buy this one retail on Digikey for only $4.50, and much less than that if you have any volume. It’s a typical example of modern high-tech – a device that takes immense research and engineering to design, but costs hardly anything to actually build. So an ingenious piece of silicon gets paired with some ingenious mechanical engineering and software to build a nice walking assist. And it then gets ripped off by hundreds of Chinese garage shops. They cut down the design so much that it becomes wildly unsafe. Then someone slaps the ridiculous name on it of “hoverboard”, probably because the movie “Back to the Future II” has its future set in October 2015, and features hoverboards that actually float, unlike these. Now it gets widely mocked, and gets active hostility from some quarters. It’s a good thing that Shane Chen got some licensing money from Razor for the design, or else it would have been a complete loss for him. Someone needs to put some real safety engineering into this, but that will be tough given its poor reputation and the fact that the price has already been bombed. He does seem to have a lot of other ideas, though, so maybe the next one will be the charm. This entry was posted in Uncategorized and tagged tech-culture. Bookmark the permalink. Are you sure that the Razor Crazy Cart’s battery is any safer than that of the misnamed “hoverboards”? Good question! 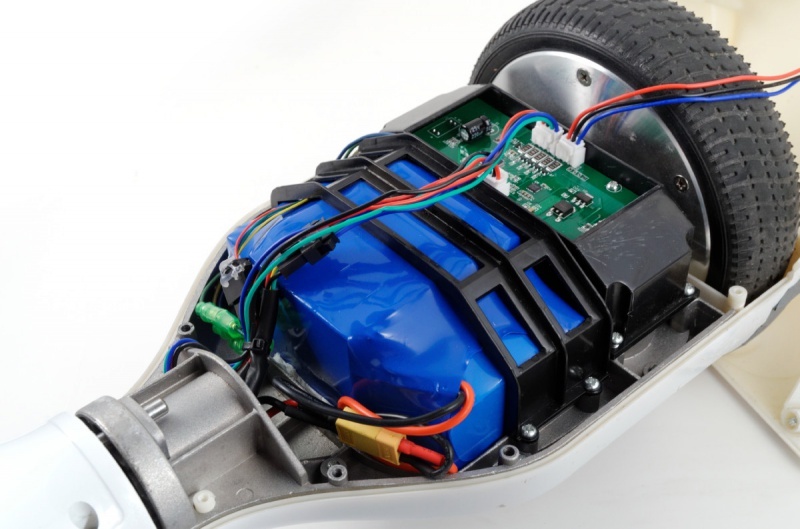 They are less exposed than rollerboard batteries – they’re mounted in a central pod on the cart and so unlikely to get damaged when the cart crashes into something. I think that’s the way that even UL-certified batteries on rollerboards can catch fire. The other way is that they get over-charged by cheap charging controllers. Razor is more of a name brand than the rollerboard makers, and so may have put some thought into this. Large Li-ion batteries just really need attention – look at Boeing’s problems on the 787.